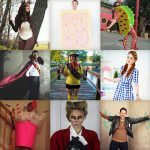 Save some time and money this Halloween and build your very own costume following one of these tutorials! Sometimes the best costumes are the simplest ones. 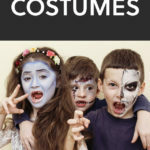 All of these guides are very quick and easy to complete and will leave you with one of the best homemade costumes around! 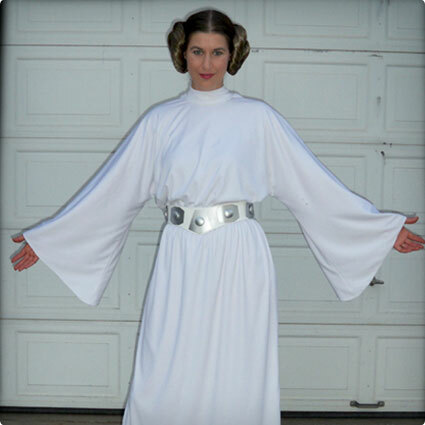 Help the Rebel Alliance achieve victory and destroy the Death Star this Halloween as Leia, the princess of the planet Alderaan! This is a very easy to follow guide that’ll help you look identical to the Princess from the original Star Wars trilogy. 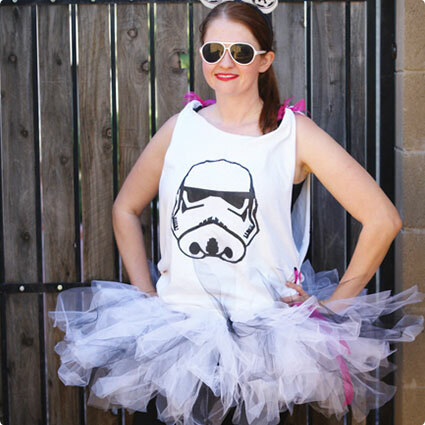 Everybody will be willing to follow the orders of a princess when they see you in this costume! Take over the galaxy as the Sith Lord Darth Vader with this outstanding costume tutorial! All that’s needed to effectively turn you to the dark side of the force is a dark shirt and some duct tape. You’ll be prepared for whatever the Rebel Alliance has in mind for you! “Chewie, is that you?” Distinguish yourself as everybody’s favorite Wookiee this year with this very simple and awesome guide! It can be completed with items found around the house and doesn’t take much time at all. 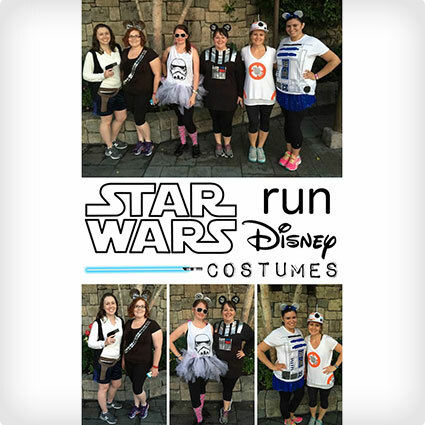 You’ll be ready to hop on board the Millennium Falcon when you don this costume! Create your very own cute stormtrooper costume this year and prepare for battle with this very detailed guide! You’ll need a few items that can either be found around your home or at your local dollar store that’ll add some style to the traditional stormtrooper uniform! Smuggle your way across the galaxy and complete the Kessel Run in less than 12 parsecs this Halloween when you show up as Han Solo this year! This unisex guide can be followed by any Han fans out there who want to pay off their debt to Jabba the Hut! 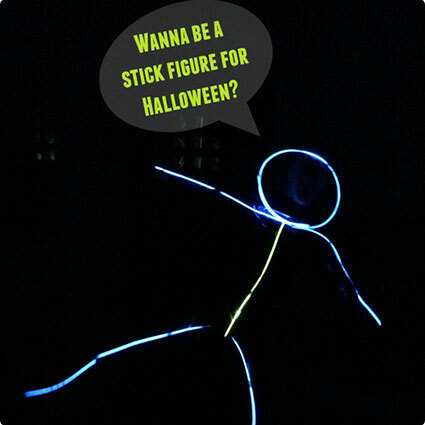 Shine all throughout the night with this awesome glow in the dark stick figure costume! It’s a very quick and easy guide that makes this a great last minute costume. As soon as there’s any darkness, everybody will look to you as you light the way to the life of the party this Halloween! 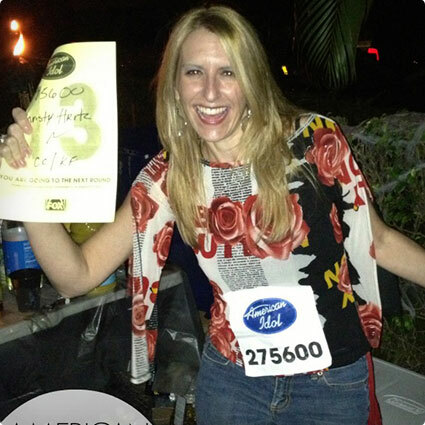 Get ready to take the stage of American Idol and capture the audiences attention with this very simple yet effective last minute costume! The best part about this costume is that you can wear any clothes of your choosing, even another costume! You’ll be ready to sing your way to the top with this simple guide! Stick to traditions this year as a classic witch who’s ready to cast a spell on the entire neighborhood with this fantastic no-sew witch costume! It uses black garbage bags that add a shine and allow you to customize and fit them however you’d like. You’ll be ready to fly across the entire town and boil up your next batch of potions with this costume! 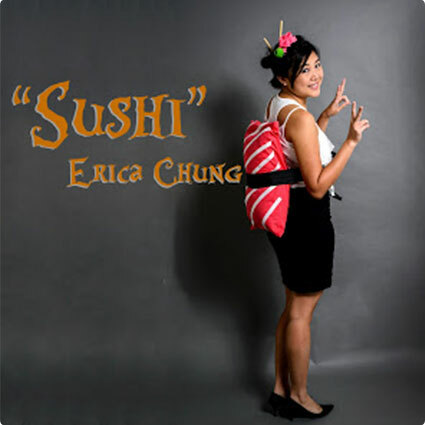 Show everybody what your favorite food is this year with this quick and easy sushi costume! Food costumes are found at just about every Halloween party and this adds a bit of uniqueness to that category. You’ll be one the tastiest and healthiest foods at any even you attend! 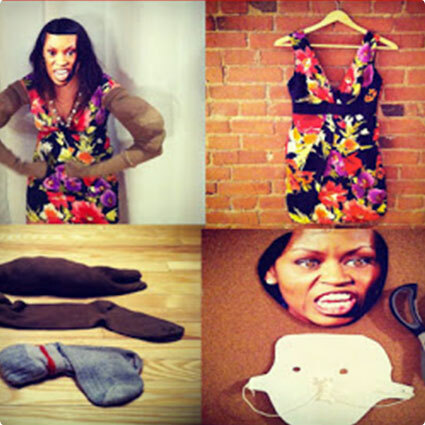 This costume adds a bit of humour to your costume that’ll be sure to get some good laughs! It doesn’t take much to make this silly costume making it a perfect last minute idea that can be completed within a few minutes. 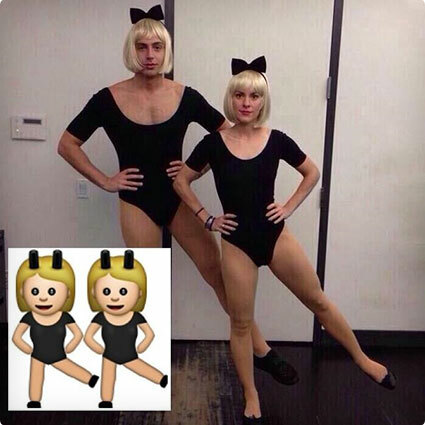 You’ll be looking fly this Halloween with this costume! 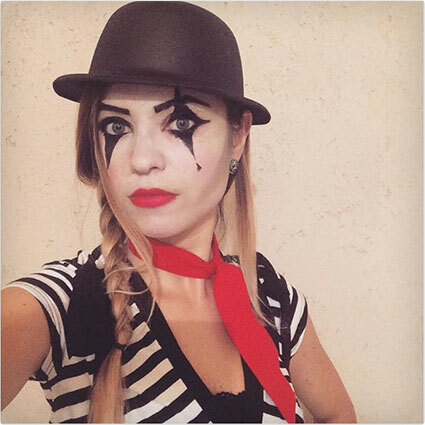 Express yourself through actions this year with this fabulous mime costume! It does require a bit of simple face painting that can be done by anybody and will make you look like a real mime! You’ll be ready for your next act which will include amazing everybody this year! 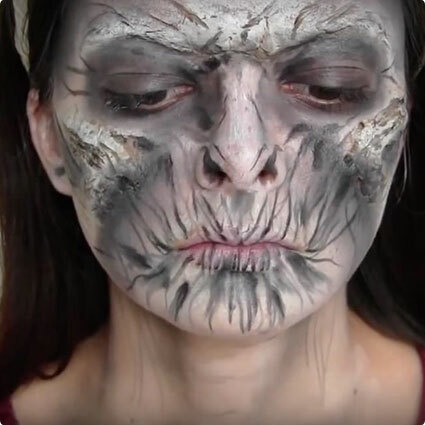 Instantly become an ancient figure this year with this incredible mummy makeup style! It uses coffee to add a stain that gives it a much more realistic look. 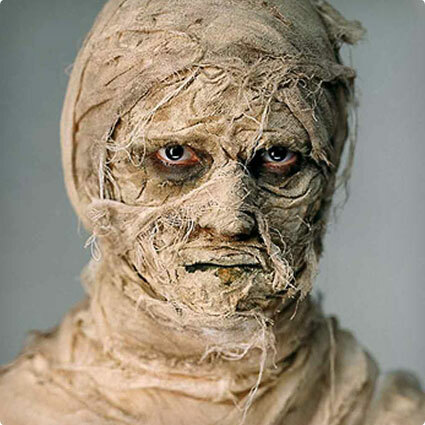 You’ll be the best looking mummy around and all set to scare off anybody who dares enter your tomb this year! Who doesn’t love Jelly Beans? 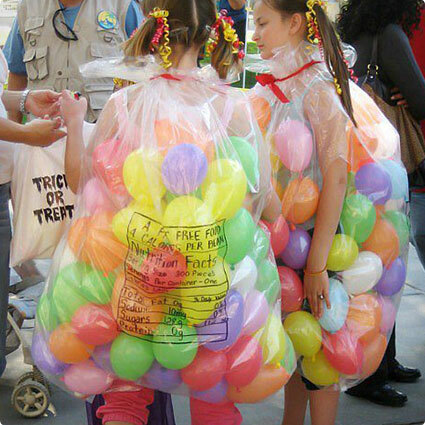 This guide can be followed to create a remarkable bag of Jelly Beans costume that can created very quickly and be worn by anybody! You’ll be ready to go trick or treating this Halloween as the delicious and addicting treat that everybody loves! 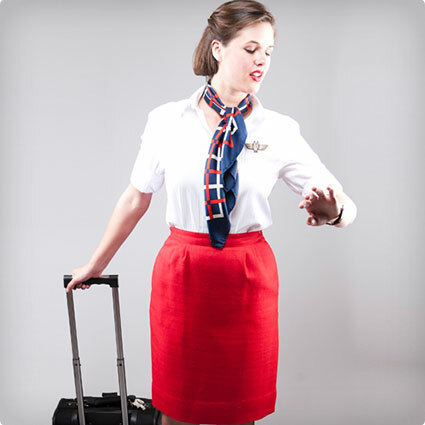 Prepare to take off with this simple ladies flight attendant costume! It’s assembled from clothes that can be found in your own closet and fit together to make you look like you’re preparing for international flight. You’ll be prepared for whatever flies your way this Halloween! 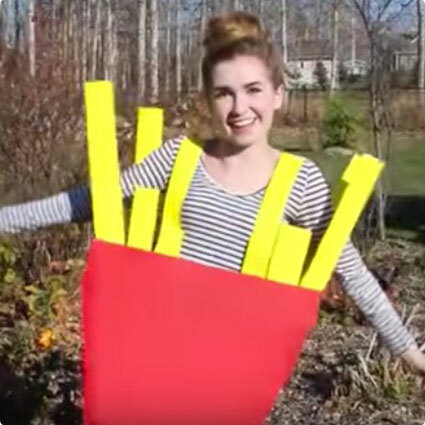 Represent one of the best snacks around with this crafty french fries costume! This video walks you through every step that is required to build this one of a kind costume and will absolutely make you stand out this year! 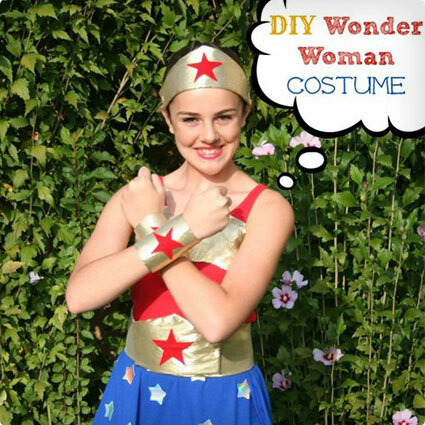 You’ll be looking wonderful as you show everybody how to DIY this Halloween! 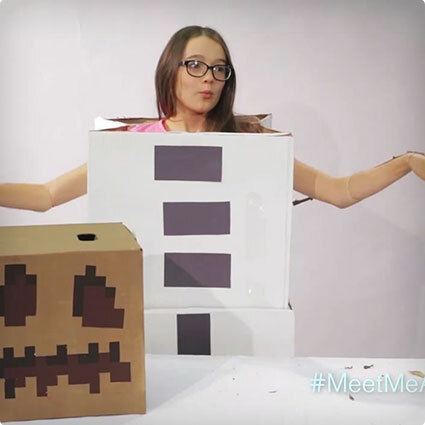 Show everybody what mood you’re in with this very simple and easy to follow cardboard emoji costume guide! It can be created in any size for everybody in the family and you can choose whichever emoji you’d like. 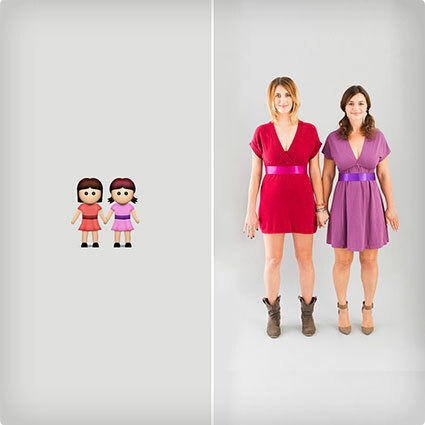 You can even create a custom emoji that’ll catch everybody’s attention! 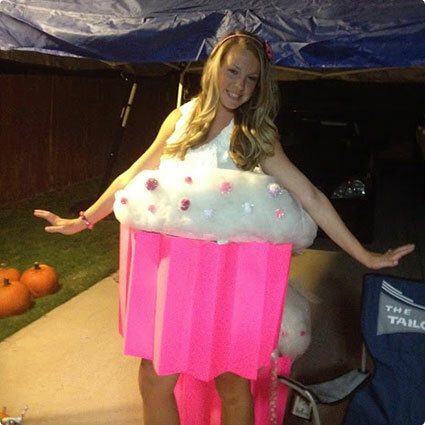 Appeal to everybody this year with this stunning cupcake costume! Everybody loves cupcakes so this is the perfect costume for any event! 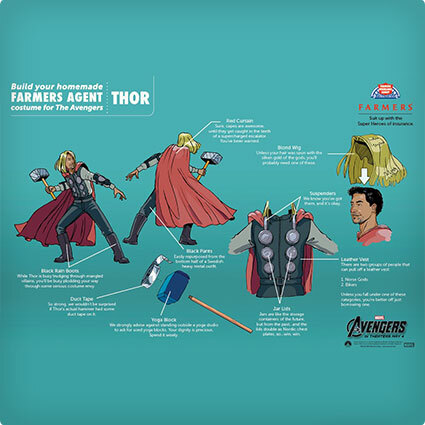 This step-by-step guide shows you everything that needs to be done to create the best looking costume in town! Everybody will be amazed that you created this all by yourself! 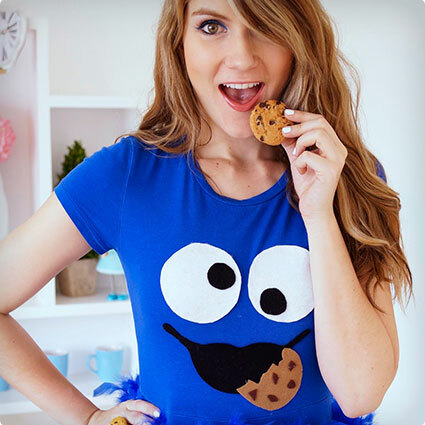 Show everybody your love for cookies by creating your very own homemade Cookie Monster dress! This tutorial has extra pictures and steps that walk you through everything to make sure your costume is perfect. You’ll be the cutest monster around in search for delicious cookies! Shine bright through the night with this awesome glowing cactus costume! It uses EL wire to add the glow but you can also just use glow sticks to make things a bit easier. When the sun or the lights go down you’ll be the centre of attention as you glow away! 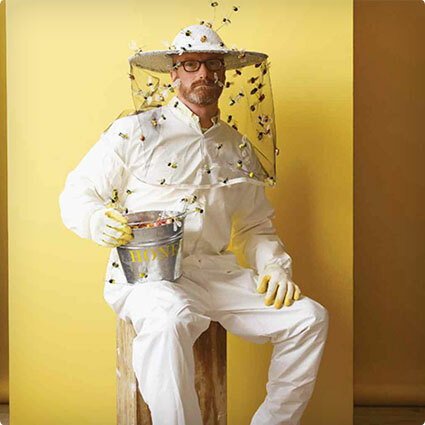 Catch all the buzz this Halloween with this fantastic beekeeper costume! This guide is short but sweet and includes everything that needs to be worn to turn you into the best beekeeper in town. You’ll be ready for whatever flies your way and all set to take care of your bee colony! 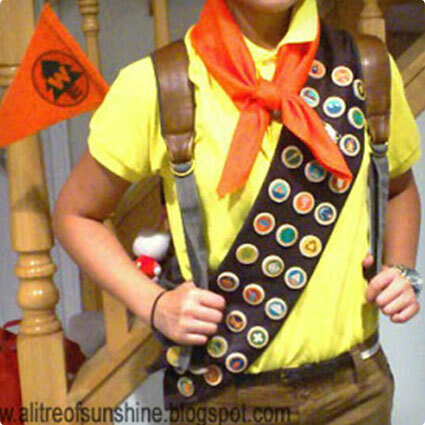 Represent your favorite cartoon with an outstanding homemade Russell costume from the movie Up! Everything needed is listed and there’s even templates for the badges that you can print off to make your costume authentic! This costume takes a bit more work than others but the end result will make you ready for whatever adventure comes your way! 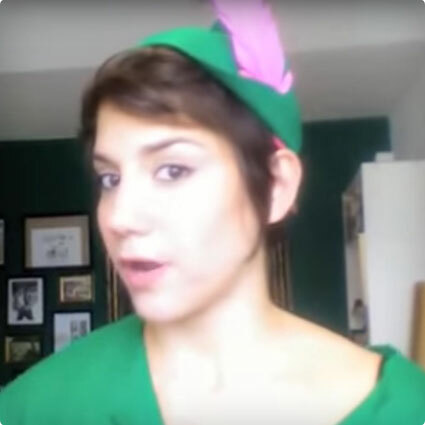 Stand out this Halloween with a stunning homemade Tinker Bell costume! It’s a full tutorial that details everything from head-to-toe and will make you look as cute as the real Tink! You will look absolutely fantastic with this costume you’ll be ready for whatever magic happens this year! 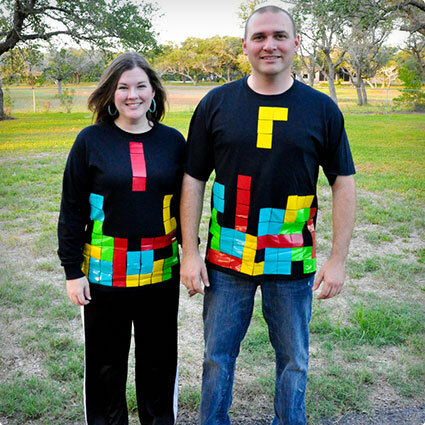 Fit in this Halloween with a custom homemade Tetris costume! This costume is so simple that anybody could make it! You can custom design the pieces and create the pattern however you’d like making this costume effective and fun! Perfect for the Tetris fans who want to line everything up this year! 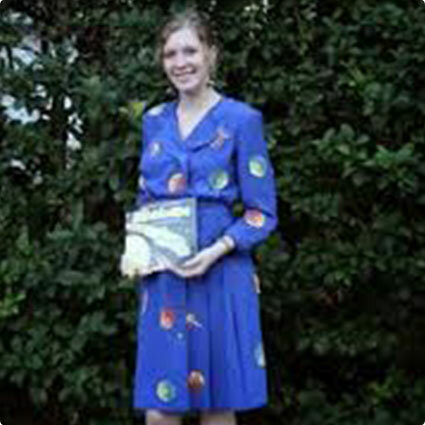 Prepare to take your class on another adventure on board The Magic School Bus this Halloween with this Ms. Frizzle costume tutorial! This very detailed guide will transform you into Ms. Frizzle herself and show everybody that you’re the coolest teacher around! Who knows what you have planned for your next lesson! Blow everybody away this Halloween as a homemade gumball machine! 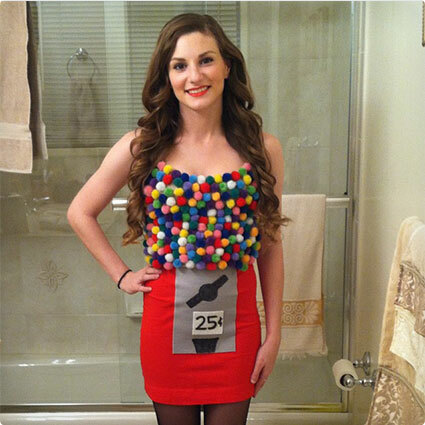 Everybody loves gum and they’ll all be amazed when they see you rocking this costume! The guide is very easy to follow and can be completed with household items and crafts. You’ll pop anywhere you go with this costume! 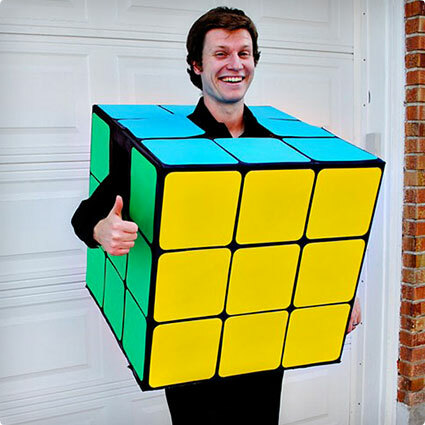 Solve all your problems trying to find a costume this year with this awesome homemade Rubik’s Cube costume! Whether you’d like everything settled with a solved cube or want things mixed up with an unsolved one this costume is perfect for anybody who wants to change things up this year! Prepare to defend all of Minionkind this Halloween with your very own Minion costume! 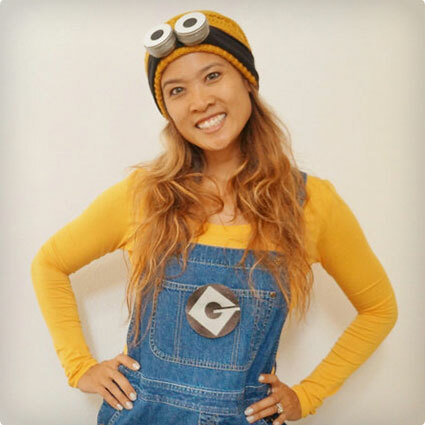 This video guide shows how to create a unisex Minion costume and even shows you how to create Minion goggles. You’ll be prepared to take on whatever threatens the existence of all Minions! Show everybody which emoji is the best when you dress up as your favorite little keyboard character this Halloween! This guide features several different emojis and styles that you can follow to nail the perfect look. You’ll be distinguished as a popular little person this year with one of these costumes! 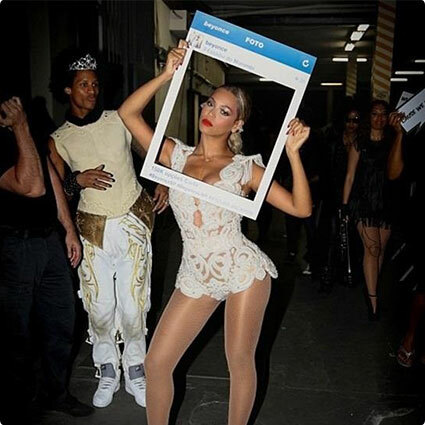 Get ready to take lots of selfies this Halloween with an Instagram selfie costume! The guide is pretty straightforward and allows you to customize your page however you’d like. 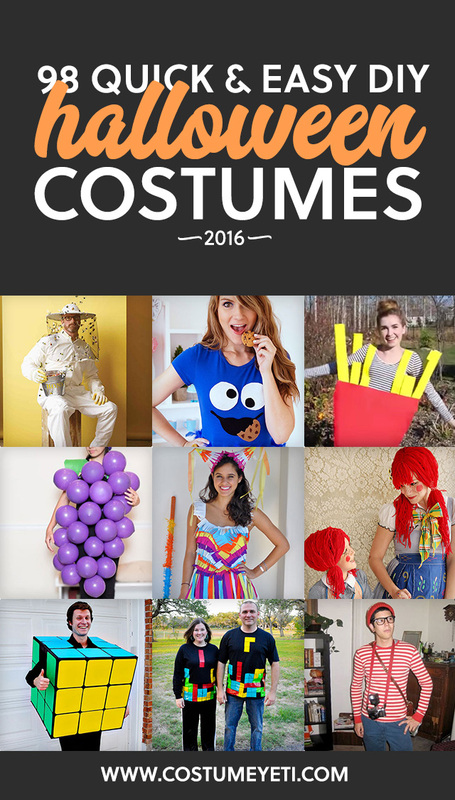 Your costume will definitely be good for lots of laughs and a great excuse to get selfies with everybody! 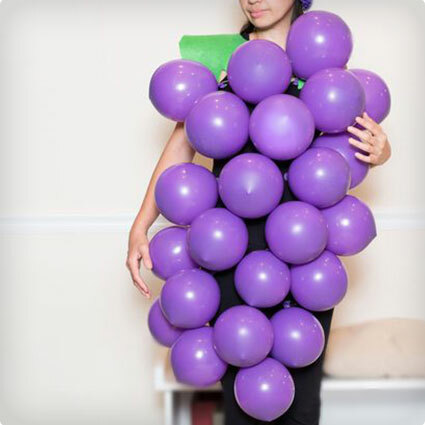 Show everybody how creative you can be with this simple and effective grape bunch costume! 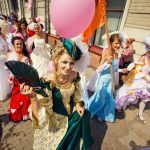 This guide is super informative and easy to follow and will help you create one of the most original costumes at any event. You’ll be a hit anywhere you wear this costume and everybody will be envious of your creativity! 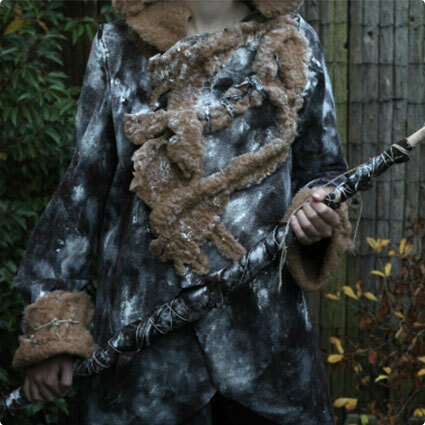 Prepare for winter with this Game of Thrones Ygritte costume! The tutorial is a bit more extensive than others and requires a bit more work but it’ll no doubt pay off as the end result is spectacular. You’ll look authentic and like you’re getting ready to film the next series of HBO’s most popular series! 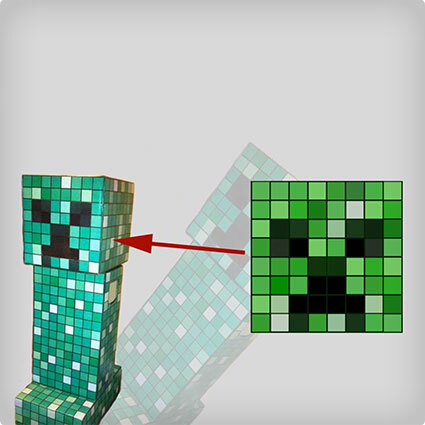 Creep your way into the world of Minecraft with this awesome and simple Creeper head tutorial! All that’s required is some simple arts and crafts that’ll result in an astonishing completed project. You’ll be ready to blast your way into the night when you don this distinguishable headpiece! 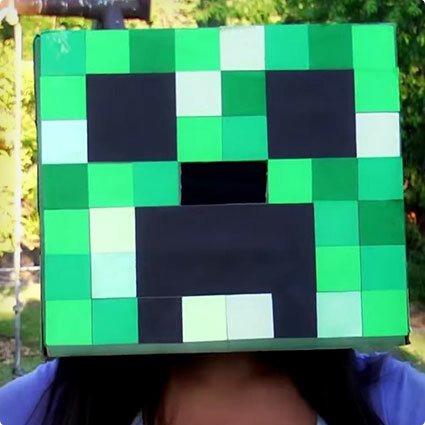 Complete your Minecraft costume and go as the most destructive enemy this year with this easy creeper costume guide! This extremely detailed and helpful video tutorial is very straightforward making this an awesome guide for all Minecraft fans. You’ll blow all your friends away with this costume! 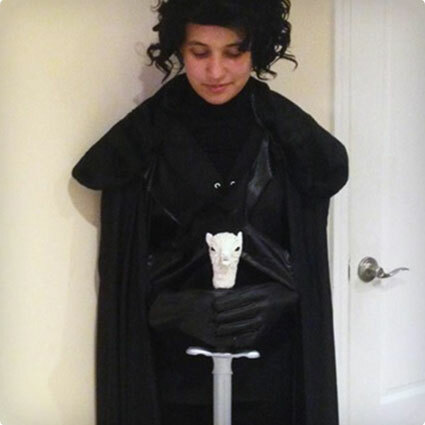 Winter is coming so get ready for whatever danger comes your way with this superb Jon Snow costume tutorial! It shows you everything that needs to be done to make your costume perfect from head-to-toe. You’ll immediately become the King of the North when you wear this costume! Prepare for a cold Halloween this year with a very appropriate and stunning Minecraft Snow Golem costume! It’s a perfect way for Minecraft fans to apply their building and designing skills from the game to real life. You’ll be the life of the party and all set to bear the cold with this costume! Dress up as your favorite music star this Halloween with this very helpful and detailed step-by-step guide! It actually includes 8 costume tutorials that can be completed very quickly and all but one cost under $20 to make. 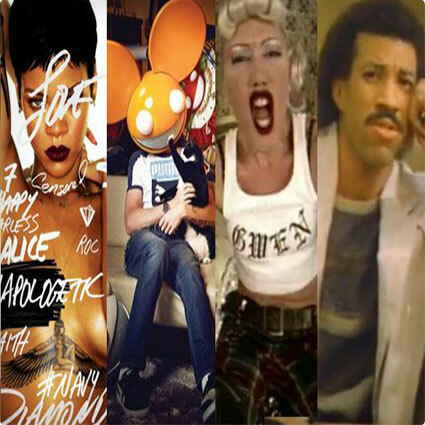 No matter what type of music you like most this guide will help you find and build the perfect costume to fit your style! 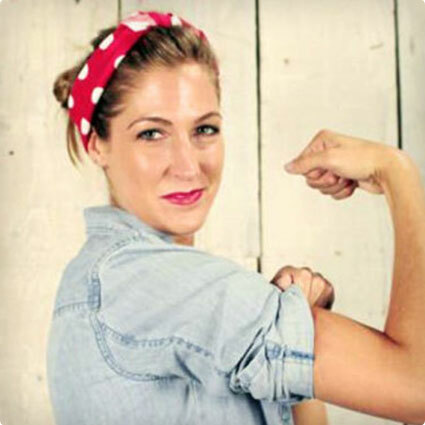 Feel empowered this year with a fierce Rosie the Riveter costume! The tutorial is very easy to follow and it even includes a video tutorial that you can follow. The costume can be completed for less than $30 and even less if you have everything lying around the house. You’ll be ready for whatever work comes your way with this fantastic costume! 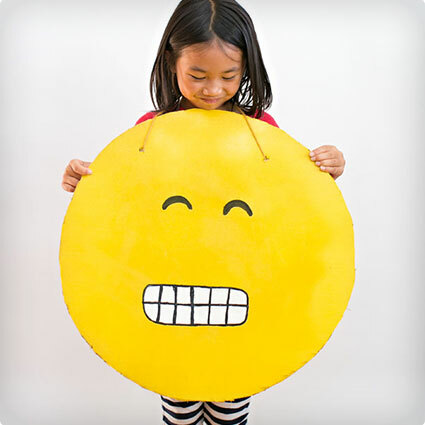 Dress up as your favorite emoji character this Halloween and show everybody what you’re all about with this simple and effective tutorial! 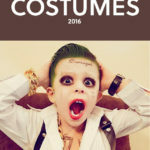 Whether you desire a single or a couple costume, this guide is perfect for you and will show everybody your true feelings! Everybody knows and loves emojis which will make you the immediate centre of attention with any of these 10 costumes! Show everybody what all the buzz is about with this guide to creating a remarkable queen bee costume! It is a very quick and easy tutorial that can be completed by anybody who wants a bit extra attention this Halloween. Everybody will hover around you when they notice this costume! 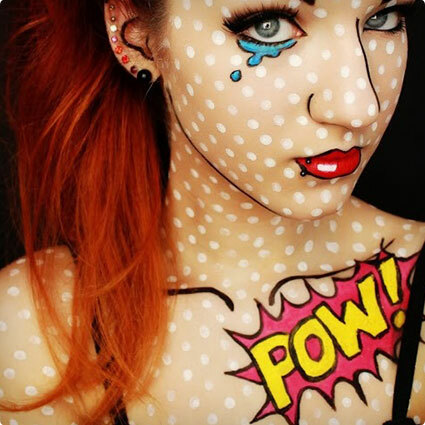 Show all your friends your true geeky side and love for all the comic book movies that have come out recently with this extraordinary comic book girl costume! The makeup is what really makes this costume stand out so it includes a step-by-step guide to making you look as stunning as possible! 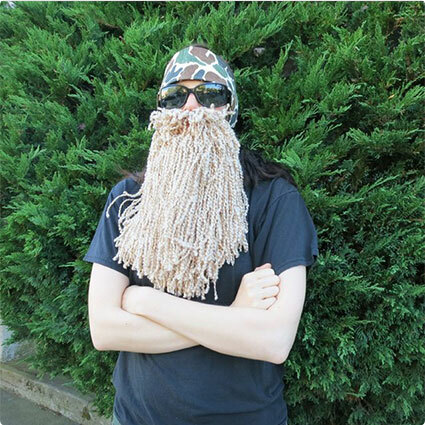 Get ready to go duck hunting this Halloween with this Phil Robertson costume tutorial! It doesn’t take much to make this costume very effective and immediately recognizable. You’ll be all set to take to the swamps and catch your own dinner when you don this costume! Prepare to survive the scariest 24 hours of the Purge with this awesome makeup tutorial that is on point! The makeup takes a bit of patience and time to apply but it is what makes the costume so great and realistic. Everybody will know what’s coming when they see you with this makeup on! 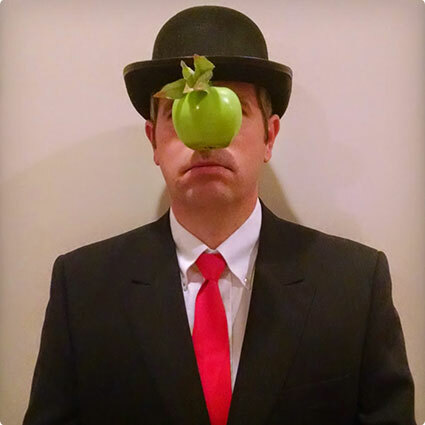 Show off your artistic side with this outstanding costume based on Rene Magritte’s Son of Man painting! It is very quick, easy, original, and cheap assuming that you already own a suit! You’ll have the most artsy costume at any event and everybody will be able to see how classy you really are! 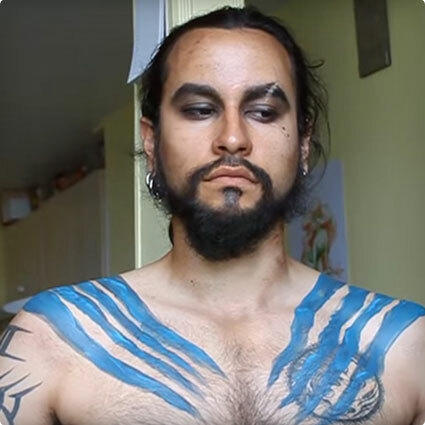 Instantly become a warlord of Dothraki when you apply this makeup to your Drogo costume! Since half of his costume is makeup, this tutorial will help anybody wanting to go as their favorite khal this Halloween. You’ll be the life of the party when you’re witnessed with this very distinctive makeup pattern! Go against the grain and frighten all other Game of Thrones humans with this White Walker costume guide! The makeup is quite sophisticated and the end result is absolutely phenomenal. Everybody will be afraid when they see a real otherworldly humanoid White Walker this Halloween! Fight for survival as The Maid of Tarth with this simple guide! You’ll need a few things that can be found for very little and the costume should only take about 30 minutes to complete. The end result is something spectacular that’ll make you fit right into the Game of Thrones world! 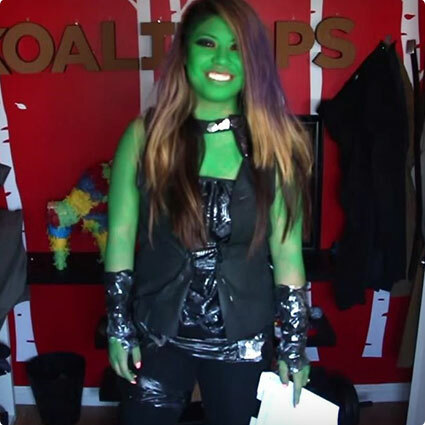 Blow all your friends away this Halloween and have the best homemade costume with this amazing Gamora tutorial! All that’s needed is $5 and a bit of application to complete this outfit. You’ll be the toughest Guardians of the Galaxy girl around with this fabulous costume! Become your favorite Game of Thrones Queen this year with this guide to designing Daernerys Targaryen’s Qarth gown! 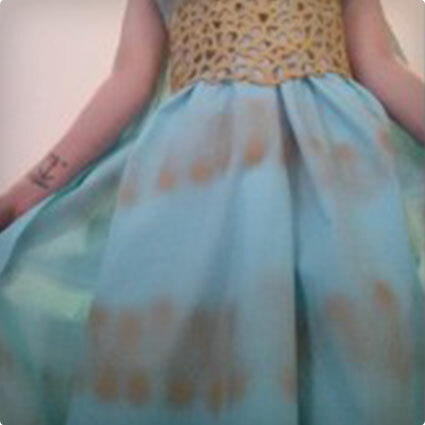 The bit of sewing that needs to be done to complete this dress makes it even more outstanding and will leave you satisfied that you created this all by yourself! You’ll catch and hold everybody’s attention with this dress! 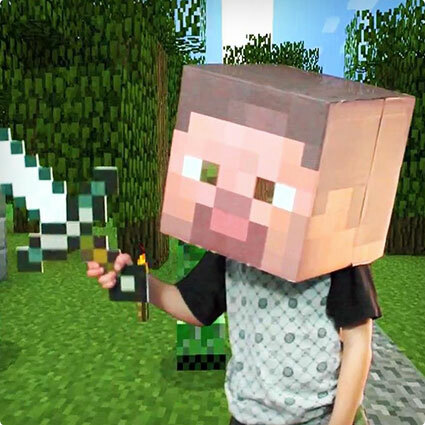 Show your love for Minecraft this Halloween with an authentic homemade Steve costume! You’ll be ready to build whatever you’ve got in mind when you step into the role. It even includes guides to crafting swords and pickaxes! Everybody will be amazed and curious to see what you have planned next! 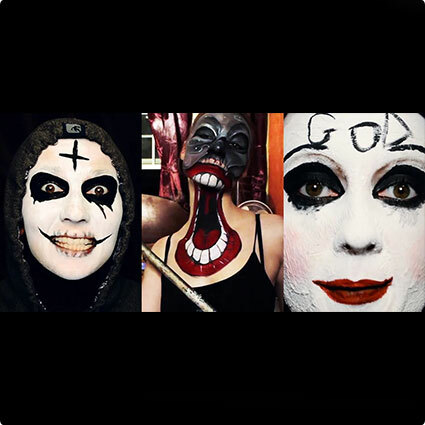 Be apart of the apocalypse this year and search for any remaining survivors with this incredible DIY makeup and costume guide. Flour is the key ingredient in this guide and will give you a real zombie look that’ll fool just about everyone. 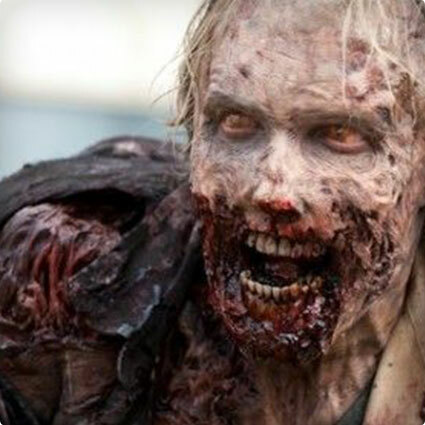 You’ll be ready for your next zombie role in The Walking Dead with this costume! 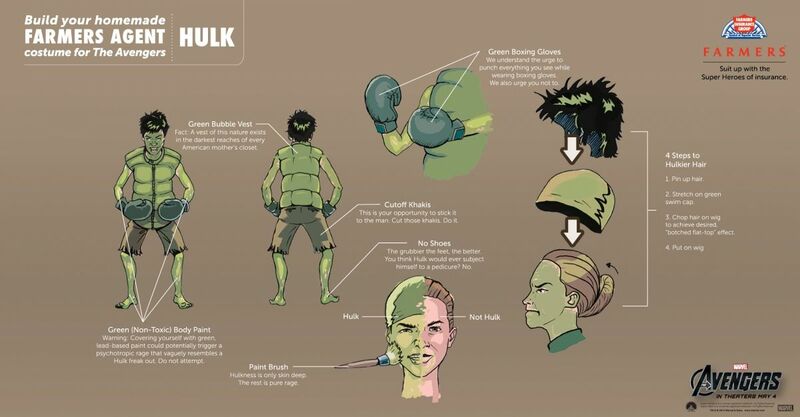 Smash your way through Halloween with this simple and effective Hulk costume guide! It’s a very quick and straightforward guide that shows everything needed to get that authentic look. You’ll make all your friends jealous when they see that you’re the toughest warrior in town! Suit up as a Norse god this year with this quick and easy tutorial! 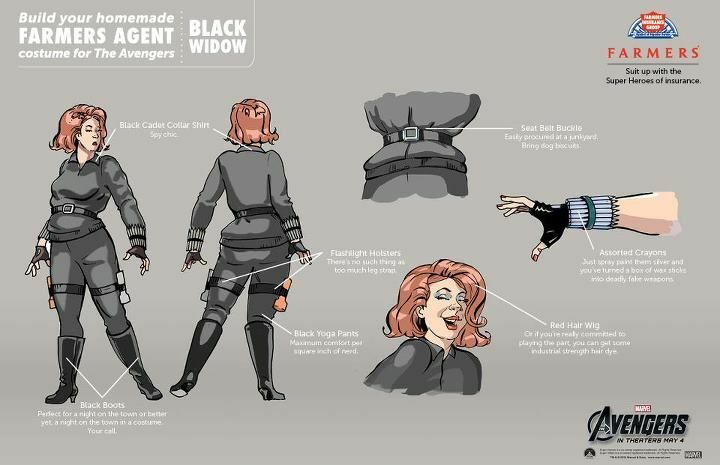 This guide is quick but helpful and shows exactly what you need to become one of the most deadly members of The Avengers. Nobody will know what hit them when you make your way to Earth this Halloween! 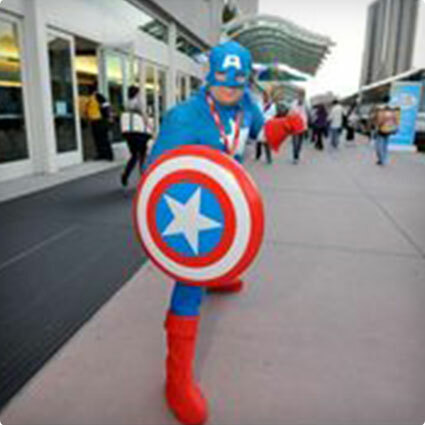 Get geared up and prepared to defend America with this patriotic homemade costume! This quick guide outlines everything required to become your favorite superhero and doesn’t take long at all. You’ll be all set for battle in the Civil War when you step into this outfit! 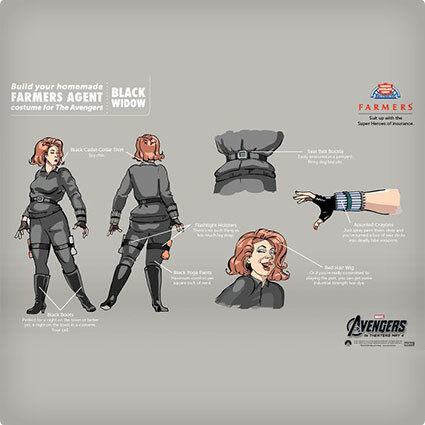 Become a member of SHIELD and the Avengers with this outstanding Black Widow costume! 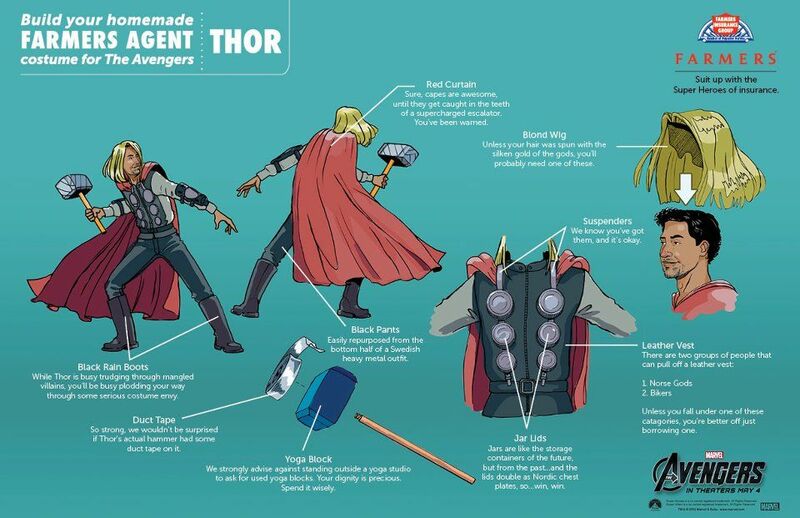 The guide is one of the more simple ones but it has the entire costume mapped out and will make you look and feel like a real superhero. All your friends will look to you for protection this Halloween! Go for the most wonderful look this Halloween with a fabulous Wonder Woman costume! This no-sew design makes this tutorial easy and perfect for anyone who’s feeling crafty this year. 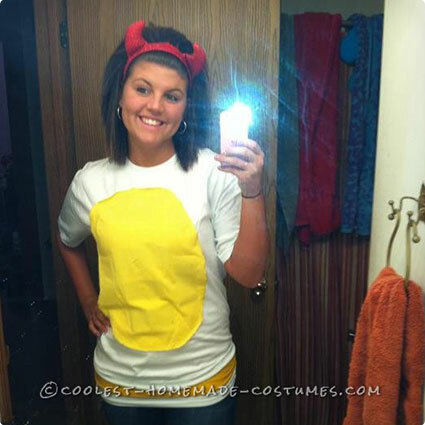 This costume that you made will look like you bought it and will be the hit at any event! Tap your shoes and see what happens with this fantastic Dorothy costume from The Wizard of Oz! The guide is pretty quick and straightforward which is why this costume is so stunning and if you have a small dog then it’s even better! Follow the yellow brick road and see who you meet along the way this Halloween! 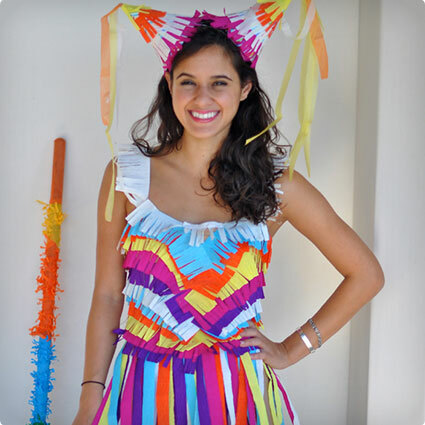 Be a hit this year with a colorful homemade piñata costume! The instructions are there but the design is up to you which makes this guide so unique. You’ll feel very crafty putting this outfit together and you’ll end up with an amazing costume that everybody will love! 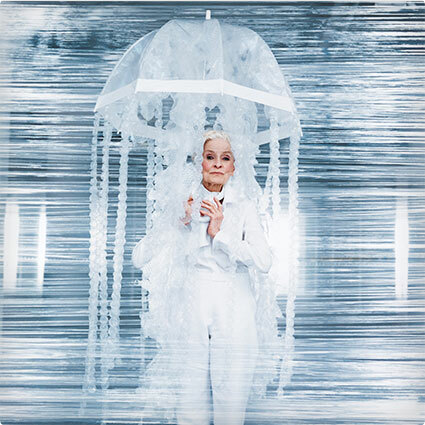 Change things up this year with this very unique jellyfish costume! All it takes to stand out this Halloween is a few household items and some fun and easy crafting work. You’ll definitely gain points for originality and everybody will be thankful that you brought bubble wrap to the party! 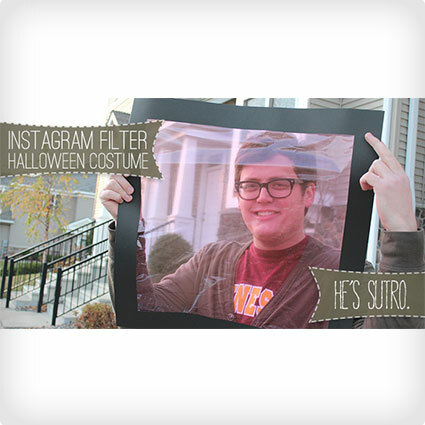 Spice things up this Halloween by adding a filter to everything you see! 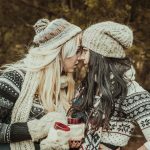 This tutorial shows you how to design a custom Instagram filter that’ll change the complexion of the world around you. 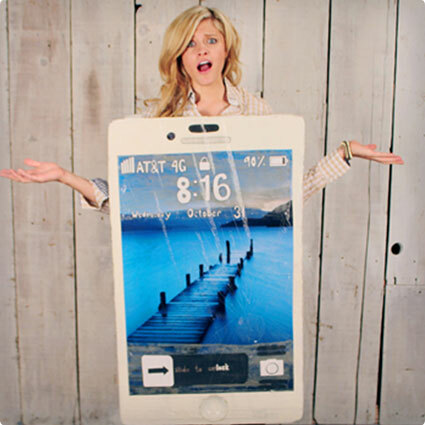 Everybody will want to see what the world looks like through your eyes with this simple last minute costume! Get ready for a clean night with this very original bath puff costume! The guide is very quick and simple which makes this a great last minute costume. You can choose whichever color you’d like and it also makes the perfect group costume. You’ll scrub everyones attention with this unique outfit! 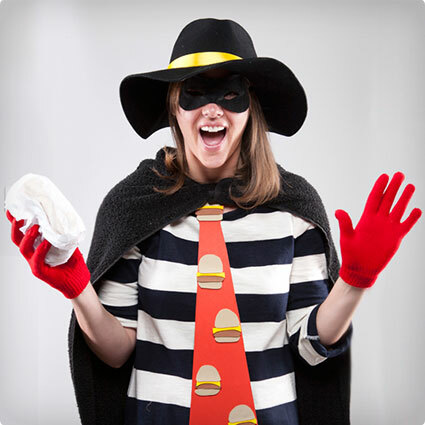 Attempt to hoard all the hamburgers in McDonaldland with this loveable Hamburglar costume! The costume can be completed with ordinary wardrobe items combined into something magnificent and everything else can be found for less than about $10. Perfect for anybody who loves McDonalds but who also doesn’t love paying for things! Rock, paper, scissors! Pick your weapon of choice this Halloween and represent your favorite tie-breaking item with this DIY tutorial! It’s great for a single costume or for a group costume. Going as a group of 3 allows you to play real life size interactive rock, paper, scissors that’ll be sure to interest all your friends! Gangnam Style is one the the most viewed videos ever with over 2.5 billion views! 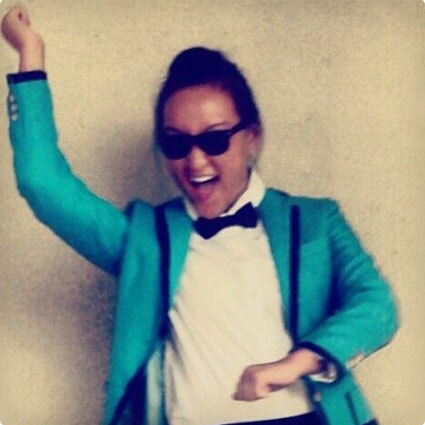 Everybody will know who you are when you show up as Psy this year! This costume is great for any girls or guys who want to represent their favorite music video this Halloween and gain everyones immediate attention! 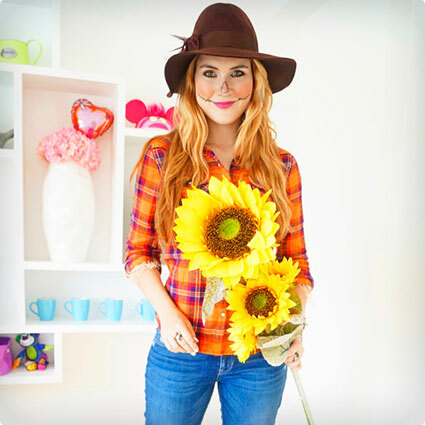 Scare away whoever you want to with this cute scarecrow costume! It’s a very easy outfit and makeup guide that can be completed by anyone wanting to be something special this year. You’ll be the most stunning scarecrow around with this costume and everyone will want to come see you! 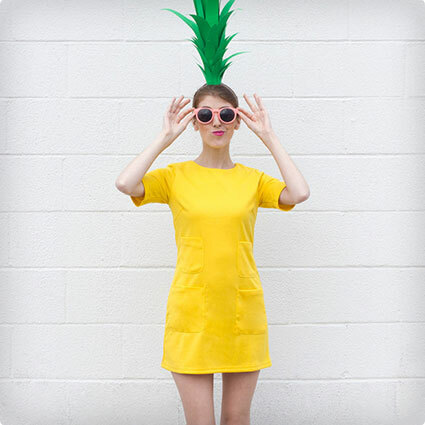 Fruit costumes are a hit at every Halloween event so go tropical with this pineapple costume! It’s a very quick and easy tutorial that makes this costume the perfect last minute option for anybody who’s unsure and wants to look awesome! You’ll have the tastiest costume in town with this one! This Halloween is going to be “huuuuge!” so get ready as the front-running Republican candidate, Donald Trump! This costume is super easy to put together and is very slogan-driven making it a perfect option for any event this year. 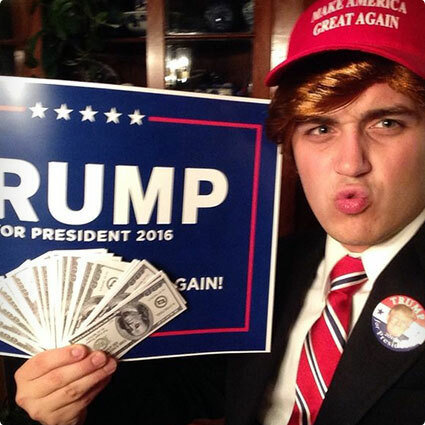 You’ll be all set to make America great again when you don this costume! Show off your sense of humour with this hilarious costume pun! 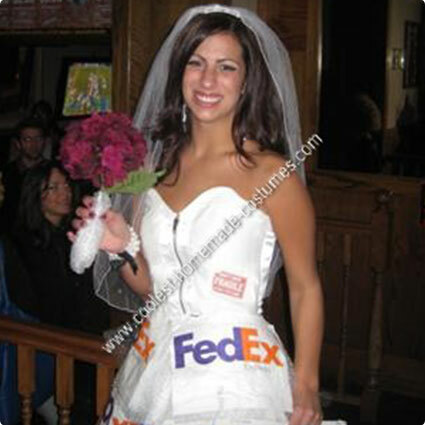 This mail order bride costume is very simple to put together making it a great costume that’ll be sure to get many laughs. You’ll definitely receive points for originality with this one and everyone will be amazed by your creativity! 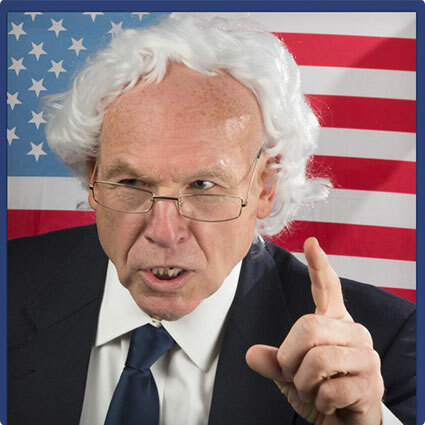 Represent your favorite American politician this Halloween with a simple Bernie Sanders costume! 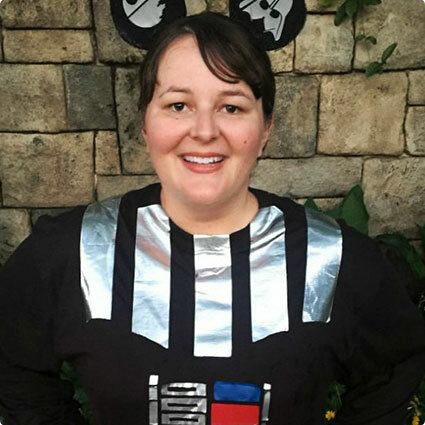 This costume is so easy to put together that it’s as easy as getting dressed and can be done by anyone. 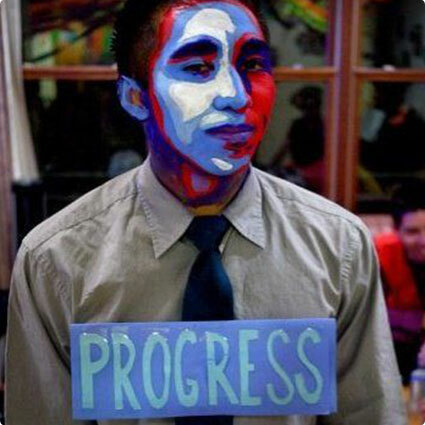 Go surprise all Democrats and close the gap on Hillary with this simple costume! Prepare to make history and become the first female American president with this wonderful guide! 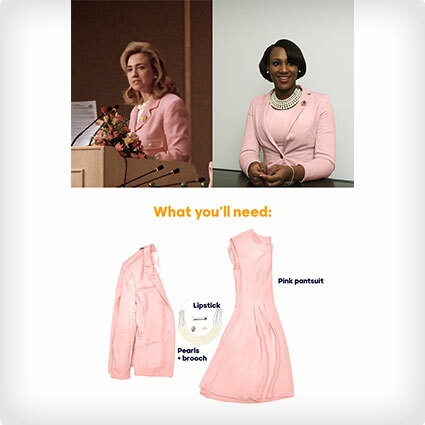 It actually includes 3 DIY Hillary Clinton costume tutorials ranging in her age and style that’ll help you obtain the perfect look this Halloween. You’ll be ready to beat out Trump and lead the Democrats to federal victory! 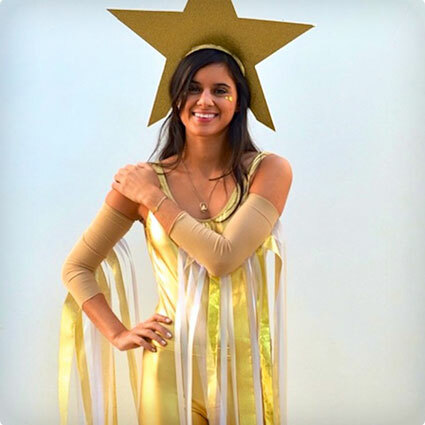 Shine bright this Halloween as you sail through the galaxy with this stunning shooting star costume! A bit of arts and crafts will turn you into the star that you are and show all your friends that you’re setting the bar as high as possible this year. 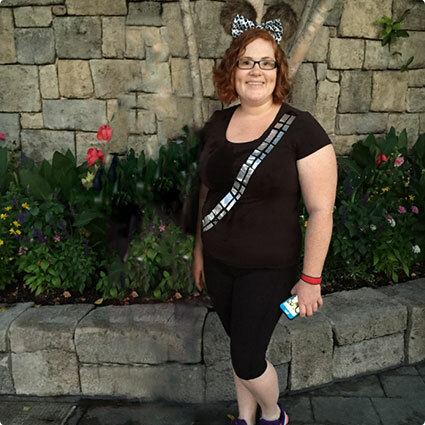 You’ll be the life of the party and everyone will want to make a wish upon you! 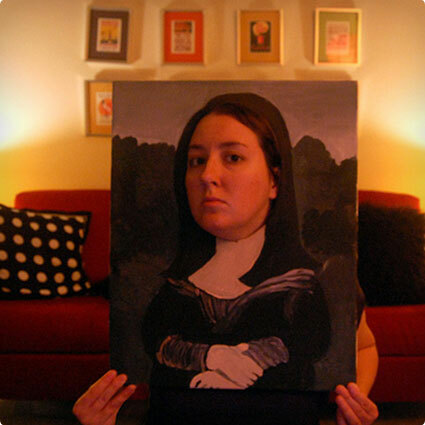 Show off the finer things in life with this costume of the most popular and highest valued piece of art in the world, the Mona Lisa! A bit of drawing goes into this costume that’ll make you feel like Leonardo da Vinci himself. No need to go all the way to the Louvre in France to see this masterpiece! 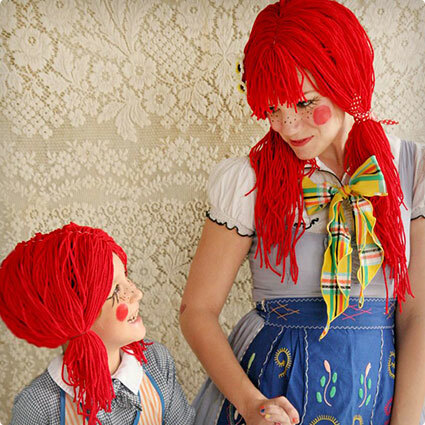 Look like an absolute doll this Halloween with this costume based on Raggedy Ann! The hair is what defines this costume and will show everybody your true, fun intentions. Once you have the hair down then it’s really up to you what else you wear. You’ll be an instant hit with this classic favorite! Represent your favorite high school based movie with this very simple last minute Regina George costume! It doesn’t take much to throw together the perfect uniform of the meanest girl from Mean Girls. 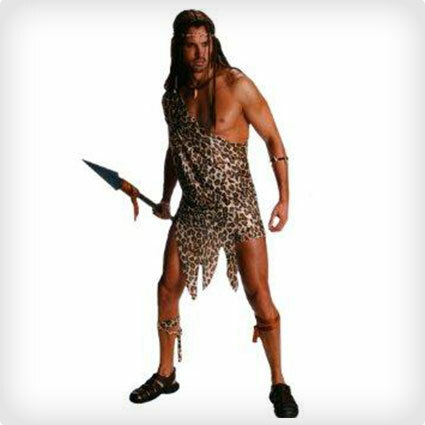 All your friends will be nostalgic and amazed when they see you in this classic costume! 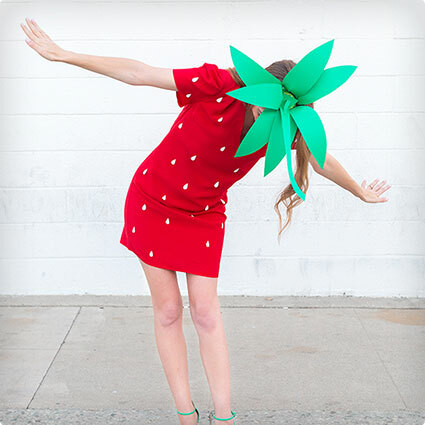 Go as the most delicious fruit this year with this sensational strawberry costume! It only takes a few minutes to put together so it’s a perfect last minute option that’ll also save you some money this year. You’ll add much needed flavour to any event and will definitely earn creativity points! 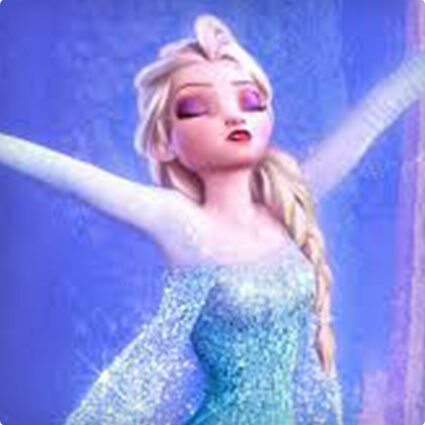 Let it go this Halloween with a radiant homemade Elsa from Frozen costume! This very detailed 6 step tutorial outlines all the household items needed to become one of the most recognizable queens around. Everyone will be amazed and jealous of your Snow Queen costume, you’ll be the queen of Halloween! Represent First Lady Michelle Obama while she’s still in office with this awesome tutorial! 3 quick steps are all that’s needed to pull this costume together show your support for the first African-American First Lady of the United States. You’ll be an instant hit anywhere with this costume! Show off your progress as you lead the United States to success as the first African-American president with this incredible Obama costume! It’s actually based on a meme from his 2008 campaign so it requires a bit of face painting. All Obama fans will show their love and support for you and be wishing they could elect you for another term! 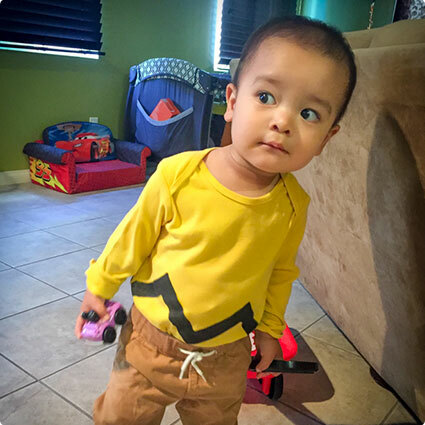 Prepare for your next adventure with Snoopy with this super quick and easy Charlie Brown costume! It can be made for kids and adults making it perfect for all fans of Peanuts. It’s a very iconic look that is instantly recognizable and will grasp everyones attention! 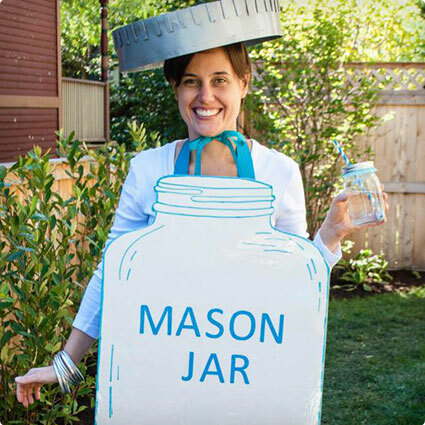 Mix things up this year and go as something a little different with an extremely well made mason jar costume! We use these everyday but until now have never given them any credit. You can even carry around a real mason jar to contain your drink of choice. 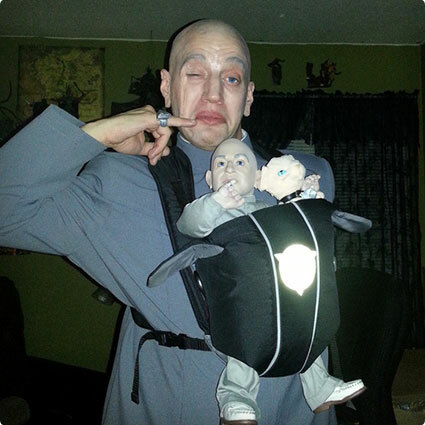 You’ll be sure to hit the originality jackpot with this costume! 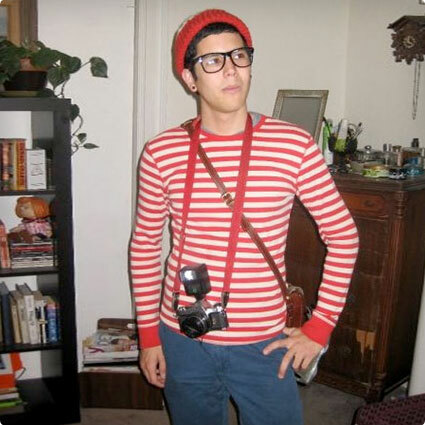 Blend in while you stand out this Halloween with this very distinguishable Waldo costume! Almost everything used can be found around the house and combined to create something amazing. 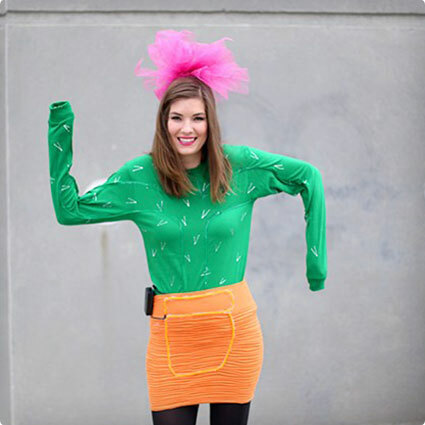 Everyone will know who you are as you become the life of the party with this costume! Get ready to go deep sea diving with this astounding scuba diver costume! 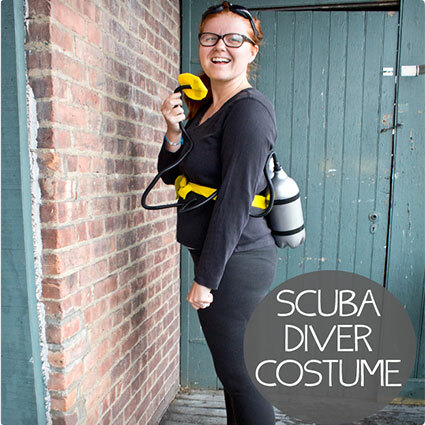 This costume is perfect for anyone who loves diving or who wants to find out one day what really is down there. Finished with oxygen tanks and a mask, this costume will be sure to earn some extra compliments! 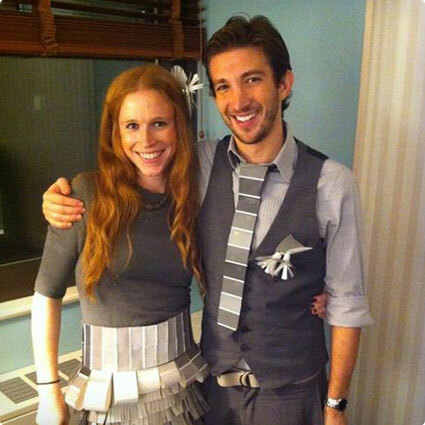 Show off your wild side with an awesome homemade 50 Shades of Gray dress! The best part is that the paint color cards can be obtained for free from any hardware or paint shop making this costume clever and cheap. You’ll be sure to get some laughs and compliments with this costume! Take over the world with this fantastic Dr. Evil costume! You can add as many accessories as you’d like to this costume but it’s the jumpsuit and gestures that make it so iconic. You’ll be all set to defeat Austin Powers when you don this costume, nothing will stand in your way! 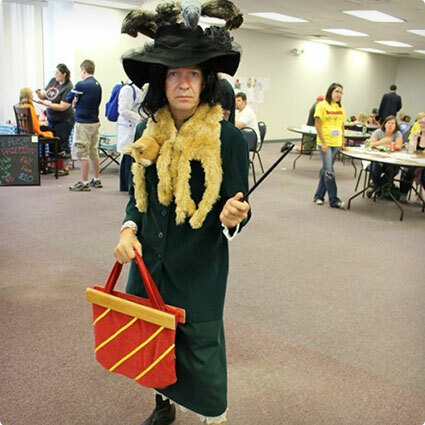 Become the Severus Snape Boggart that was imagined by Neville Longbottom in his Defence Against the Dark Arts class! Only you and Neville could think of something so ridiculous. You’ll turn something scary into something hilarious that will be sure to get laughs and attention all night long! 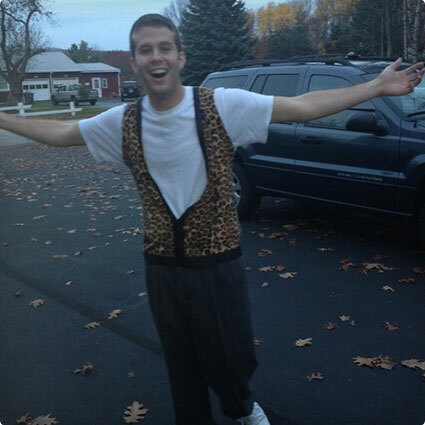 Prepare for a day off with this Ferris Bueller costume tutorial! It’s short but sweet and tells you everything that you need to get the perfect look and fool all your classmates. Chicago will have to wait and see what you have planned for the next time you skip class! 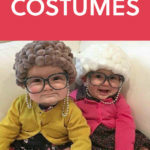 Show everybody that you were a gift from God and Heaven with this hilarious gift box costume! It’s very fast, easy, and cheap to make making it perfect for anyone on a tight budget and time schedule. How could anybody resist such a gift? 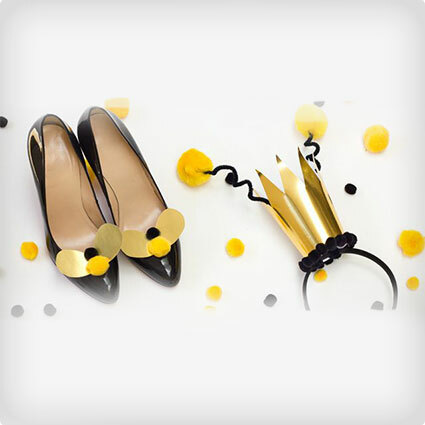 You’ll look great and add some humour to the party! 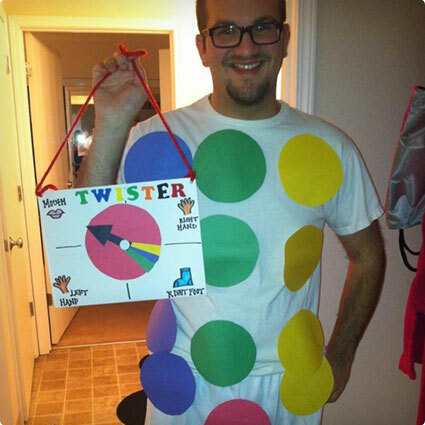 Get ready to play a very dirty game of twister with this costume! The innuendo is quite obvious and will be sure to get some good laughs from everybody. You’ll at least get some compliments if nobody is willing to play. This costume is perfect for the jokesters who like being the life of the party! Go on an adventure on the Island of Neverland this Halloween with this Peter Pan costume! 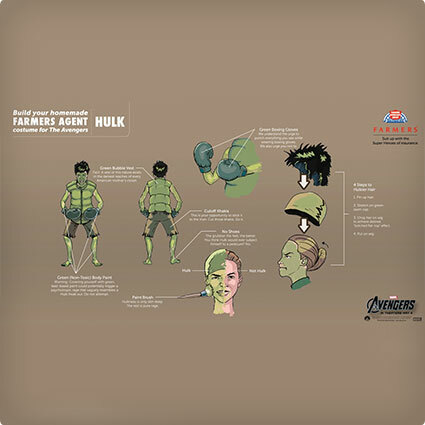 It includes a video as well as a detailed tutorial to guide you to making the perfect costume. You’ll never grow up wearing this costume as you lead the Lost Boys on your next never-ending childhood adventure! 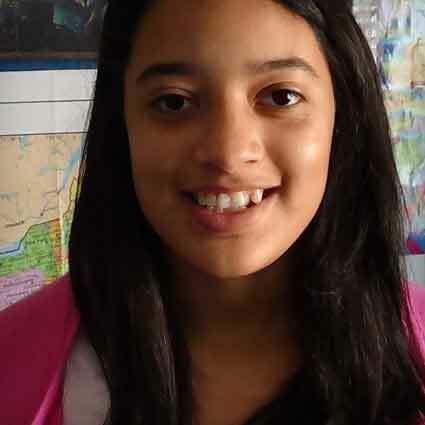 Go exploring this year with this amazingly accurate Dora the Explorer costume! It requires a bit more arts and crafts to make the very distinguishable backpack which will definitely pay off in the end. You’ll feel like a kid again with this one and nobody will believe that you made it yourself! 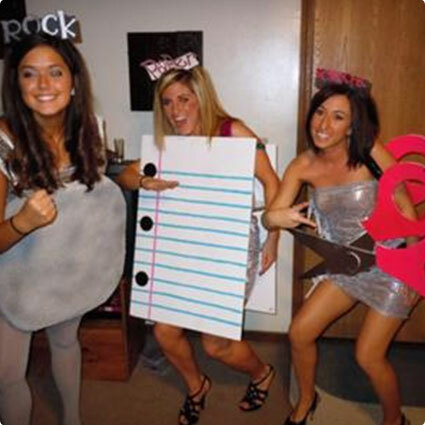 Bring a laugh to the party with this hilarious spin-on-words-costume! This costume can be completed within 5 minutes making it one of the fastest, easiest, and cheapest last minute homemade costumes to put together. 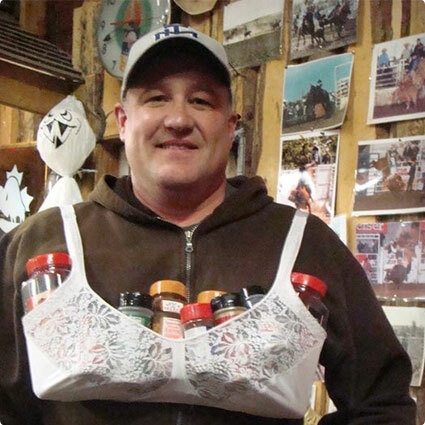 You’ll gain huge points for creativity and hilarity with this costume! Predict the future this Halloween with this astonishing fortune teller costume! 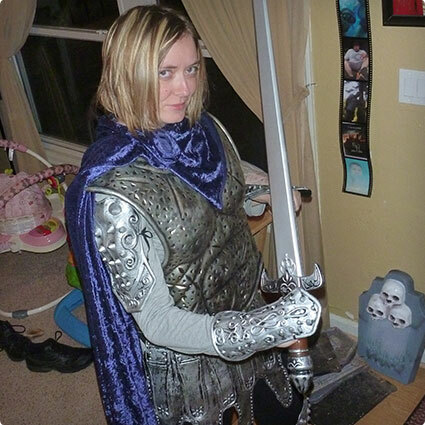 You can play around with this costume quite a bit and add more accessories to make it that much more realistic. Everybody wants to know what their future has in store for them so they’ll all come to you to find out! Prepare for some truly risky business this Halloween with this very simple and accurate Risky Business Joel Goodson costume! You’ll be ready for some Old Time Rock and Roll when you go back to the 80’s and blast the stereo this year! 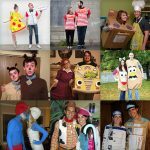 Everyone will know who you are with this incredible and very recognizable costume! 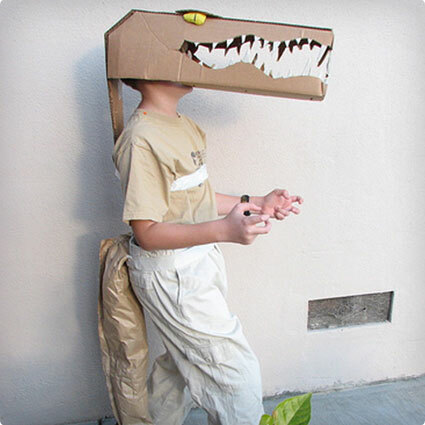 Instantly become one of the most feared aquatic reptiles with this awesome homemade crocodile costume! It can be made to fit crocodiles of all sizes and will fool all your friends into thinking that you’re a real croc. You’ll be ready to leap at whatever comes your way this Halloween with this costume. 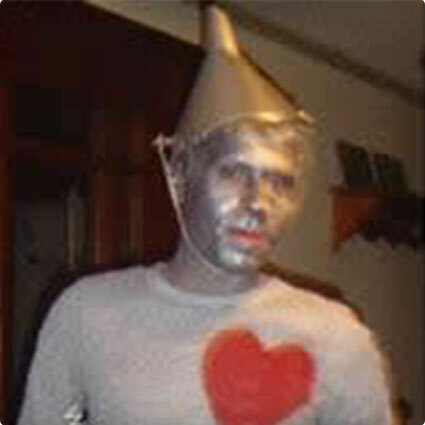 Search for The Wizard of Oz this Halloween on a quest with Dorothy with a very simple yet effective Tin Man costume! It’s very easy and cheap to make and will instantly transform you into the iconic character from Munchkinland. You’ll be all ready to find Oz and your heart with this costume! 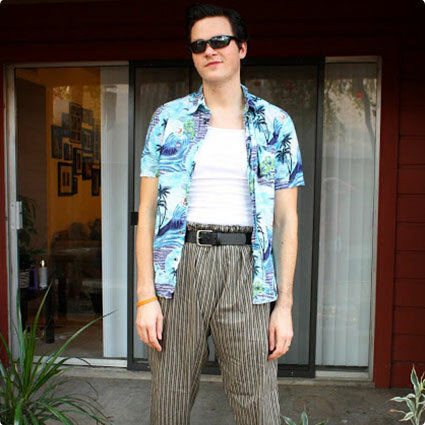 Show everybody your love for animals as the pet detective Ace Ventura this Halloween! You’ll be ready to save Miami from disaster when you don this costume! Everybody loved Jim Carrey in the film and you’ll feel the same as he did with your very own homemade costume! 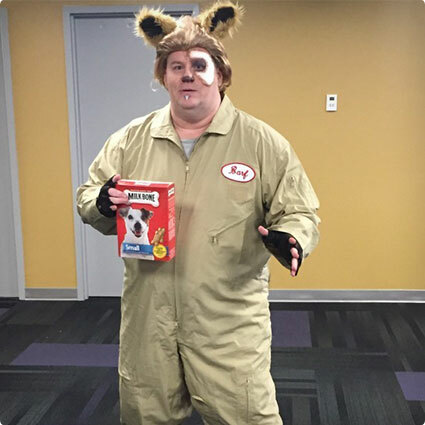 Become everyones favorite Mog, “half man, half dog”, this year with this superb Barfolomew costume! With a bit of arts and crafts you’ll instantly transform into the hilarious, loveable creature who helped make the movie so great. You’ll be everyones best friend as you tell them about your journey through the galaxy! Shine some light on one of the most frustrating things that has happened to almost everyone with this broken iPhone costume! It’s one of the worst feelings picking up your cracked iPhone after you just dropped it. It’s also something that lots of people can relate to which is what makes this costume is so great!